Jewellery holds a special place for all women and there's no better gift than jewellery for the women who hold a special place for you. Scroll through the wide range of jewellery pieces, from necklace, earrings to bracelets and pendants, and choose the one that best defines her unique style. There is a constantly increasing need to be fashionable. People around the world are picking up new trends every now and then, engaging everyone into following those trends, thanks to the internet! Wearing fashion jewellery is just one of the fashion essentials today, especially popular among those who like to stay up-to-date and be consciously fashionable at all times. But how secure could you be when you decide to wear real metal jewelleries during important occasions? The times are really getting harsher due to the pending and apparent economic crunch across the world. And with this, it is easy to realize the rising number of robberies and thefts. 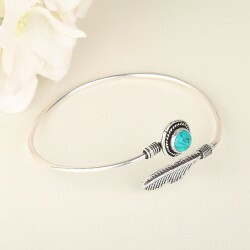 But you need not fret; there is a wide range of stunning looking fashion jewelry that would surely suit every taste. 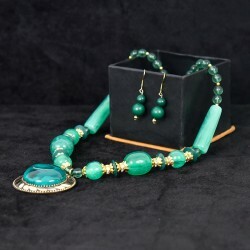 These artificial forms of accessories are not just affordable but also gorgeous looking and capable of lifting any look. Throughout the times, we, especially women have used jewellery to further enhance their beauty, which has added to the current value of the fashion industry, compelling it to come up with newer designs and better alternatives to the traditional precious metal ornaments. With that, we see how the industry of fashion jewellery is increasing day by day and that too in every corner of the world. Owing to the easy availability of internet, we also have online jewellery stores accessible today. It has made shopping artificial jewellery online easier than ever. This has further made it possible for people of all age groups and classes to be able to buy jewellery at an affordable cost. It is much more than just the cost of these jewellery pieces, these look as dazzling as any other expensive jewellery available in the market. How Did Fashion Jewellery Come into Fashion? Splendid necklaces, earrings, rings, bracelets and head ornaments were first produced out of the easily available materials in ancient Egypt. The creation and wearing of these ornaments further spread to Greece where people started using glass and colored stones. Then Italy and Rome got a peep into of the art of making jewellery and finally in the 17th Century it went to London and to Birmingham where fabrication of the modern artificial jewellery began. Fashion jewellery now saw more than just basic loops and designs, modern stones and metals were not a part of the art. It was much later in the 20th century when jewellery came out be a part of fashion for the general people. A major reason behind the spread of jewellery was the development of drama and film media that resulted in an increased production of imitation jewellery. 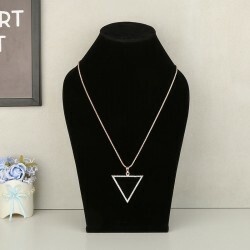 And today, we have a thousand designers producing innovative designs and kinds of artificial jewellery online every day, offering endless number of options to the buyers. Looking for gift ideas for women who hold a special place in your life? Well there can be nothing more appropriate to gift that a pretty piece of jewellery. There are many options to choose from, bracelets, earrings, necklaces and much more depending upon their likings and dressing style. Moreover, gifting fashion jewellery pieces in bright colours, so they complement multiple outfits, is the best way to flatter your better half. Therefore, when you find yourself looking for a gift for her on special occasions like Valentine's Day, simply search for valentine gifts for her online, and you will be sorted! Especially in India, imitation jewellery is considered elegant, fashionable and as precious as real precious jewellery, so it is never going to run out of fashion or get boring. Imitation jewellery, when paired carefully, can be extremely versatile that it can be worn at any event or occasion from casual to formal. Mix-matching jewellery with different dresses is easy and you can make as many combinations as you wish to. 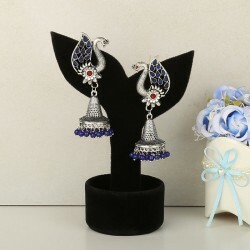 Artificial fashion jewellery comes in an unparalleled variety of designs, colors, patterns and styles. Go online and you will find something for everyone. 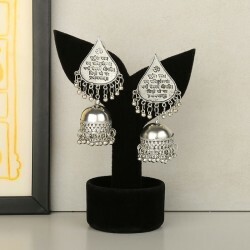 Most artificial jewellery on sale online are entirely made of copper or brass covered with high shine gold and silver polish to add durability a lasting finish. Whether you're after the perfect gift for someone else or just something that can add to your unique collection, special fashion jewellery collection at MyFlowerTree is something you should check out. For an experience that is both luxurious and exclusive, we offer a range that has pieces to match all characters and personalities. From beaded necklaces, handcrafted bracelets to pretty earrings and pendants, we offer one-of-a-kind items that speak individual styles. So, if the pretty women in your life who love to dazzle in accessories, pick gifts for her online at MyFlowerTree that suits her personal style. 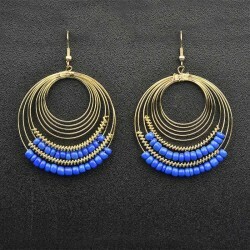 We have a diversified collection of necklaces, earrings and bracelets for women. We offer same day delivery at your doorstep and also midnight gift delivery for when you wish to surprise them. Products in this category have been rated 4.8 out of 5 based on 128 reviews.